Quick summary: Students use authentic data to answer problems about recycling. They calculate and use percentages to compare rates of recycling and environmental benefits. They do a quick survey and calculate percentages to help them to analyse their data. Learning goals for this activity include: Calculate and apply percentages to data to help to analyse the data and answer mathematical questions. Demonstrate how mathematics is used to understand environmental issues. Level of teacher scaffolding: Medium – keep an eye out for those students who get confused about calculating percentages. Resources needed: Scrap paper, access to a spreadsheet application that can produce pie graphs. Digital technology opportunities: Convert a table of data into a pie graph using Excel. Assumed prior learning: Have had an introduction to percentages, have an understanding of ratios, familiar with a spreadsheet program. Overarching learning goals: Calculate and apply percentages to analyse data and answer mathematical questions. Demonstrate how mathematics is used to understand environmental issues. Teacher content information: Aluminium is a metal that can be recycled again and again without being degraded. Recycling aluminium is important as it only takes 5% of the energy to recycle it compared with processing the raw material bauxite into aluminium. So for each can recycled there is a 95% energy saving. The method for collecting aluminium cans will affect the percentage being recycled. 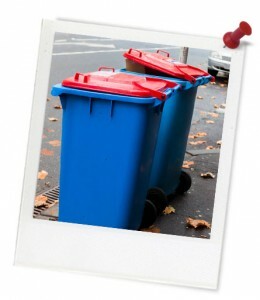 Thought starters: At home what percentage of your waste is recycled? This table has the percentage recycling rates of aluminium cans for 11 countries for the years 2002 and 2010. 1. In the table above calculate the percentage improvement for each of the 11 countries (hint minus the percentage for 2002 from 2010). 2. Which country has the highest recycling rate of aluminium can for 2010? 3. Which country has the greatest improvement in recycling rates?